Find My Workspace lists over 95% of the business centres market in Birmingham. Simply click Request Quote to check pricing for one office, or Add to Basket for multiple offices. High spec contemporary offices in a stunning Grade I listed building, available now for your business. The space is fitted out with high quality furniture and great on-site amenities. This centre will ensure your business needs are efficiently met with a highly experienced management team on-site to facilitate your experience. The friendly reception team are happy to provide hail handling services and clerical assistance. This site benefits from natural lighting, CAT5 cabling and air conditioning. Tenants can take advantage of the well-equipped meeting rooms and access kitchen facilities on-site. This space is a listed building located in Birmingham’s Jewellery Quarter. The centre is split into four different sections, with a traditional feel and various sized offices available. Amenities include; 24 hour access, admin support, meeting/board room, secure car parking, cleaner, breakout area, security system and wifi. Grade A Office space in an outstanding business location. This represents one of the most prestigious office buildings on the estate, with an impressive elevation that allows plenty of natural light and offers views across Central Square. This is a new and unique opportunity to take space in a prominent business park where you will have the ability to customise and brand the space for your business on flexible terms from 6 months. This Innovation Centre is a high quality development providing flexible office accommodation for knowledge and technology-based businesses. 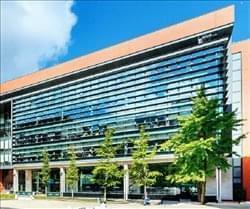 Managed by the University of Warwick Science Park which has been providing nurturing environments for small, start-up and medium sized businesses for over 20 years, it takes pride in delivering facilities and business services to a high standard of quality and professionalism. Offices from 291 sq. ft. up to over 2,000 sq. ft. This open plan office space, offers the opportunity to work in a collaborative manner alongside the existing tenants of this great work environment. The property is on the fourth floor of a multi tenanted building which includes all core services including 24/7 security. It is a modern fit out and includes 14 workstations, a 12-person meeting room and a tea point. Tenants have access to a single seat telephone pod as well to conduct important calls in private. There is a small comms room. This brand-new space, in the centre of Birmingham’s bustling Colmore Business District, houses two floors of bright and vibrant office space which have been fitted out to the highest standard and are perfect for any business. 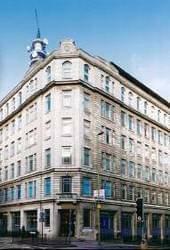 The business centre is situated within a purpose-built ‘grade A’ building, located on the corner of Colmore Row, that boasts a stunning and memorable exterior; with its large glass windows providing an abundance of natural light along with great views across the city. This stylish office space consists of several flexible-working spaces with traditional fully-furnished private offices, large hot desking facilities, a variety of modern break out and co-working areas and a host of meeting rooms available to book for internal and external clients. This array of space provides occupants with a variety of zones to work from, along with a choice of where to take those important meetings in private. The newly fitted interior oozes with charm and has been completed to the highest of standards. The trendy furnishings, colour schemes and ergonomic furniture have been specifically sourced to ensure all occupants are comfortable within their surroundings; what’s been created is the perfect environment needed to have a productive work day. 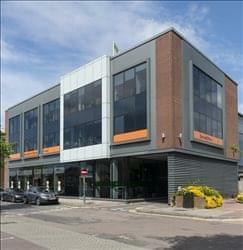 A community has been created within this business centre which provides an excellent ground for both networking and socialising. The current client base ranges from entrepreneurs and SMEs right through to established companies, but is ideally suited to any growing organisation wanting to base themselves within Birmingham’s Business District. A few of the facilities offered by this business centre are; Wi-Fi with high speed broadband access, advanced IT and telephony systems with an option for personalised call answering and IT support, private office key-card access, optional admin support, free Tea/ Coffee/ Alcohol (Fizzy Friday’s), two onsite kitchens per floor, on-site parking (subject to availability), bike racks and showers facilities. In addition, the centre offers a professionally staffed reception to welcome your guests during business hours. Access to your offices are provided 24-hours a day; allowing you to grow your organisation even outside of business hours. The business centres’ sole purpose is to ensure the smooth running of your business; taking the day to day stresses away by offering a range of business support services. Rest assured that all your business needs will be catered for, from your first viewing through to the ongoing daily needs of your team. This centre is a premium office space offering tenants unrivaled service. Based in the Cranmore area of Solihull, the space is ideally situated between Birmingham and Solihull with easy access to the M42. There are five offices available which range between four and six workstations each. Inclusive features are one months’ notice; so very flexible. Uncapped internet access with onsite technical support. Kitchen and breakout facilities. Security access. Reception services. Immediately available. With your own front door and 24/7 access, these flexible studios come fully furnished with cabled workstations, fully fitted kitchens, functional meeting rooms and plenty of breakout space. The friendly on site team are on hand to help you settle in and get to know your new work community. The onsite amenities include a cafe, cycle racks with showers, changing rooms & lockers, a brand new gym & fitness studio and the fantastic collaborative ground floor business lounge for those ad hoc meetings or to offer a change of scenery. The offices have ready wired high speed broadband and WiFi, high specification workstations and ergonomic chairs, car parking spaces and all bills are included (except business rates). 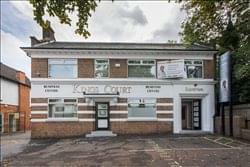 Situated in the heart of Edgbaston Village, this centre is based within a beautifully refurbished building that has undergone a huge transformation into a workspace of the highest standard. The centre boasts a brilliant atmosphere and a wealth of amenities to make this the ideal setting for your business to thrive and achieve maximum productivity. The centre’s striking interior design will surpass expectations, with its professional meeting/conference rooms an ideal place to host team meetings or clients, and its warm and welcoming reception area making a great first impression on guests. The centre’s communal area strives for a professional but comfortable theme and is furnished with high glass kitchen units, glass interior walls and sleek break out spaces. Suites are equipped with black leather chairs, first-rate furniture, air conditioning and high speed internet. State-of-the-art fully furnished grade A serviced offices at affordable prices, within the prestigious and salubrious area of Edgbaston. A five-storey building with beautiful skyline views from the top floor. 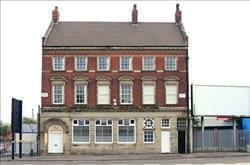 Over £1 million has been lavished to refurbish this building and restore its pride and glory. The centre boats chic, enviable meeting rooms, board rooms and conference rooms coupled with the highest technology features. Conference room can accommodate up top 100 delegates. The centre cater for large or small meeting rooms, whichever is your preference. The centre staff are always on hand to ensure your occupancy is carried out in a friendly, approachable and professional manner. 24/7 access with the luxury of on-site car parking which is CCTV monitored and overnight security personnel. The offices range from two-person offices upwards – whatever your requirements regarding occupancy, the centre are sure to assist and comply. Reception services are available such as typing, copying, scanning, postage, dry cleaning, shoe repairs, key cutting (service charged applicable). This list is not exhaustive and always open to suggestions to enhance our service quality. Equipped kitchens on each floor with dishwasher and fridge freezer. Consumables replenished daily to ensure free flowing tea, coffee, milk and sugar are readily available. Hot desk and virtual office facilities available. The staff strive to prove that clients and visitors are of paramount importance and always possess a can do attitude. 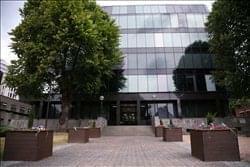 This centre is an impressive modern building providing a range of serviced office accommodation over four floors. From single self-contained offices through to large open-plan suites of offices – all available either furnished or unfurnished on flexible short or long term Licence Agreements. Monthly Office Fee is fully inclusive of all rates, service charges, utilities, heating and cleaning. Centrally located for motorways this centre offers fully furnished offices that have been recently renovated with car-parking options. 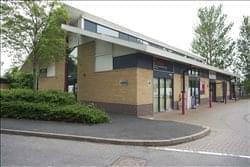 There are recently refurbished toilets, a reception and 24 hour access to the space with a large kitchen and facilities. The space has storage facilities available on site with telephone and broadband available to all tenants. The centre has an on-site Cafe with central heating and air conditioned offices throughout the space, the offices are secured for your privacy. There are also virtual office options available. This centre offers fully refurbished, themed offices with high quality office furniture and a complete range of IT solutions. Tenants also have access to telephone solutions to suit your business requirements as well as access to meeting rooms, break out areas with hot & cold drinks as well as full kitchen and dining room facilities. There is also secure parking on-site for anyone travelling into the space as well as on-site business services. Uniquely decorated, the interiors celebrate the ‘Best of Birmingham’ and utilise iconic images of the city to give an original theme to each office suite. This creative design themes continues into the communal areas including the reception, meeting rooms, break out areas and dining room. With expansion and customisation capabilities, this centre offers offer medium to large office space ideal for established enterprises, call centres, dance and photography studios and more. The spaces are bright and airy and have a comfortable and workable feel. The centre also benefits from on-site parking – easing any morning rushes for drivers. The centre itself does not have meeting or board room facilities, however a nearby sister centre can be used to conduct any necessary meetings. 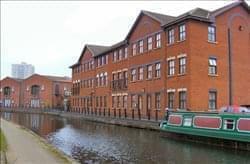 The centre also boasts stunning views of the nearby Birmingham canals and 24 hour access – enabling you to set your own working hours. The accommodation comprises a second floor office suite that has been refurbished to a high specification including comfort cooling and heating, raised access floor for cable management, new carpeting, complete redecoration, new suspended ceilings with integral LG7 compliant lighting, on-site car parking, full time commissionaire and on-site secure storage (separate negotiation). The floor can be divided into two to provide office suites from 2,200 sq ft or it can be let fully at 5,100 sq ft. The suite is available for a term of years to be agreed, subject to a minimum of three years. The space is ‘semi-serviced’ whereby rent, rates and service charge are bundled into an inclusive per person cost per month. This is a multi-let Enterprise Park comprised of seven blocks of terraced units providing accommodation suitable for light industrial use, workshops, or office/studio units. The estate has 24-hour access, 7ft perimeter security fencing, large yard and parking areas and electric roller shutter doors. Nestled in a quiet area in Birmingham’s Jewellery Quarter, this Grade II listed building offers offices ranging from 175 square feet to 1200 square feet. The building has a charming exterior and lazy French backstreet inspired design. 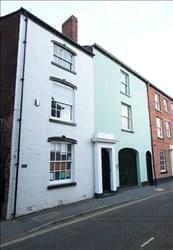 Painted pastel green, this stunning historical building definitely stands out and would be an ideal space for those within creative industries who are looking for a space to suit their profession. Whilst the building itself does not have a reception or onsite management team, tenants have a centre manager who will be on hand to help with any query just five minutes walk away. 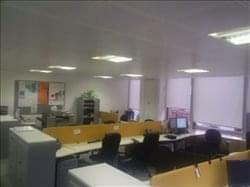 This building has been recently refurbished and refurnished with all brand new furniture and equipment, offering serviced offices that are of an excellent standard. This centre is ideal for those who want to be based in a professional work environment. Depending on your requirements the reception can be manned or unmanned. Fully equipped meeting rooms are available for hire by the hour, or by the day, offering you fantastic facilities on flexible terms. The break out and eating areas are brand new and are professionally cleaned daily. There are also bike racks and shower facilities on site, ideal for those commuting by bicycle. 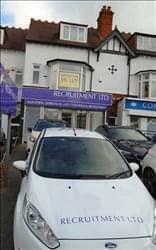 Highly regarded business centre situated just off the Stratford Road in Hall Green. 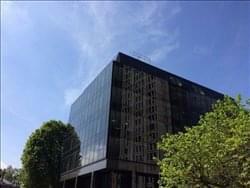 The building offers high-quality, fully refurbished, flexible office accommodation. Affordable offices available from 65 to 650 sq ft. Inclusive terms from 1 month and price includes call answering, utilities, telephone/data lines, furniture, parking, cleaning, rates and beverages. The centre does not charge VAT. This business centre provides the perfect environment for budding businesses large and small to get off the ground and expand. With all the tools you need to succeed right here in this multi-faceted, self-contained complex, your business will flourish and grow. Reception facilities, chill-out area, conference rooms and an on-site, modern café, the lofts offer your business a creative centre inspired by the New York business scene. These non-branded offices allow you to customise your space to suit your business and help you to make a positive and lasting impression on prospective customers and clients! Situated in Hall Green, this space offers all the logistical benefits of being located in the City Centre but without the everyday traffic nightmares and steep prices you would expect from renting office space in Central Birmingham. The centre is a distinctive building recently fitted out to an extremely high standard and consisting of semi-serviced offices and private suites with scope to accommodate your business growth. Based in a Grade A modern office building, with shared reception services, on site mail handling facilities and 24 hour access available all year round through secure fob system. The site benefits from secure car parking to the rear of the building and an onsite backup generator. 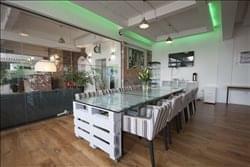 It also has a high speed broadband connection, modern boardroom available for hire on the ground floor and good access to strong local amenities including high street brands and independent companies, with M&S food immediately adjacent. The three offices are separated over two floors with a refurbished separate kitchen/communal area. 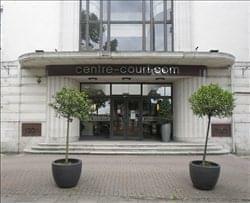 Private 24 hour entrance with door entry system in a fantastic location close to shops and public transport. 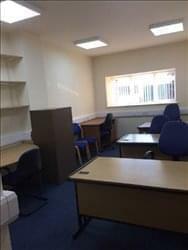 The offices could be a great location for either a new start up or for a company wishing to grow or relocate their current staff, with the option of having one or all three units. This centre has created the best co-working environment in the city and it’s been designed especially with you in mind. Situated on the 20th, 21st and 22nd floors in Birmingham’s iconic Alpha building, the space is set across 3 floors of contemporary styled office space with unrivalled views of the city. The space has been designed by the award-winning architecture practice Orms who are known for creating architecture that elevates the human experience through insight, collaboration and design integrity. Everything has been considered, righ down to the last detail so you’ll find all you need right here, from a welcoming reception to super-fast broadband, printing and copying. 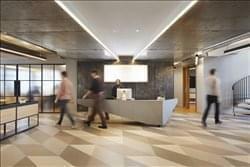 The shared spaces include meeting rooms, phone booths and quiet rooms for you to use and enjoy plus 5 fully equipped kitchens with free flow tea and coffee. As well as 24/7 secure access, you can also take advantage of the building”s amenities including a Café, shower and changing facilities and secure cycle storage. There’s also a curated programme of events for Community members to keep you on your toes with even more opportunities for connection, learning and inspiration. Our team is here to offer support and provide everything you need to flourish and succeed. If you have any queries, questions or suggestions get in touch with the Community Team. 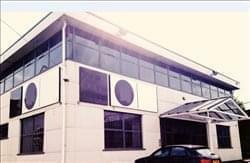 This centre provides a variety of office space to let on short term agreements. 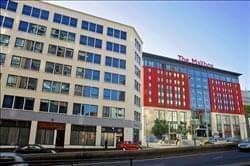 The modern office accommodation is generally open plan with meeting rooms and private offices. All office space at this centre incorporates perimeter trunking, suspended ceilings with recessed lighting, carpeting and kitchen facilities. Air conditioning is provided to some offices. Occupiers are able to provide their own broadband allowing them connect to a line that has the capacity they require. The majority of occupiers also use their own phone lines. This allows tenants to take advantage of the competitive communications market. This centre has created a vibrant and diverse working environment right in the heart of the city perfect for established and growing businesses alike. The property has been beautifully designed, with offices available on the 18th and 19th floors of this Grade II listed tower. 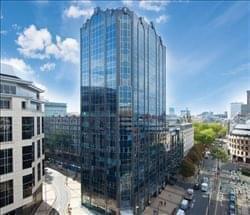 The space boasts unrivalled views across Birmingham. With no-nonsense, hassle-free leases and an all-inclusive monthly fee, it’s easy for you get straight to work from day one. Tenants can benefit from their own front door and 24-hour access, 7 days a week. The workspace comes fully furnished with cabled workstations, functional meeting rooms, fully fitted kitchens and plenty of breakout space. Setting up and settling in couldn’t be easier and the friendly on-site team are on hand to help you with anything you may need. There are an array of fantastic on-site amenities including a cafe, secure bike racks, shower facilities, changing rooms, lockers and a brand new state-of-the-art fitness studio. This centre is an inspiring space and perfect for your business. To obtain information for your selected Birmingham Business Centres, please tick the "Add to basket" box for each office you prefer and complete the form below. We will then send a detailed report via email.